Some days it seems like you barely have enough time in your schedule to shower before class, let alone put together the perfect look. But amazingly, Northwestern is filled with students who manage to look flawless — even with five midterms a week and a thousand extracurriculars. Each week, I’ll talk to someone on campus and get her makeup tips and tricks. This week, I talked to SESP sophomore Lya Ferreyra, who talked about lip care and makeup. When doing your makeup, sometimes the lips can be overlooked with a last minute gloss touch-up or a quick swipe of color, but in all honesty, healthy lips with tasteful makeup can give you a high-definition look. So pucker up for some of Ferreyra’s tips on how to up your lip action. For Ferreyra, lip color is a form of expression that helps show her feeling for that day or night. For example, when she is in a somber mood like during midterm season, she is likely to be wearing a darker color, yet she has a hot pink color ready to wear when she’s excited to go out. Maintaining your lips regularly will give you a great base when applying lip color. After all, lipstick on chapped lips is not an appealing combo. Before applying lipstick, Ferreyra will put on lip balm and allow time for the balm to sink in. She explains that if you apply balm and then immediately put on lipstick the color will just slide off. She says also using a lip scrub is a great way to get rid of the extra dead skin that flakes on your lips. After the balm, Ferreyra will use lip liner to trace and define the outer edges of her lips. She then will fill in her lips with the liner and apply the lipstick on top of the liner. 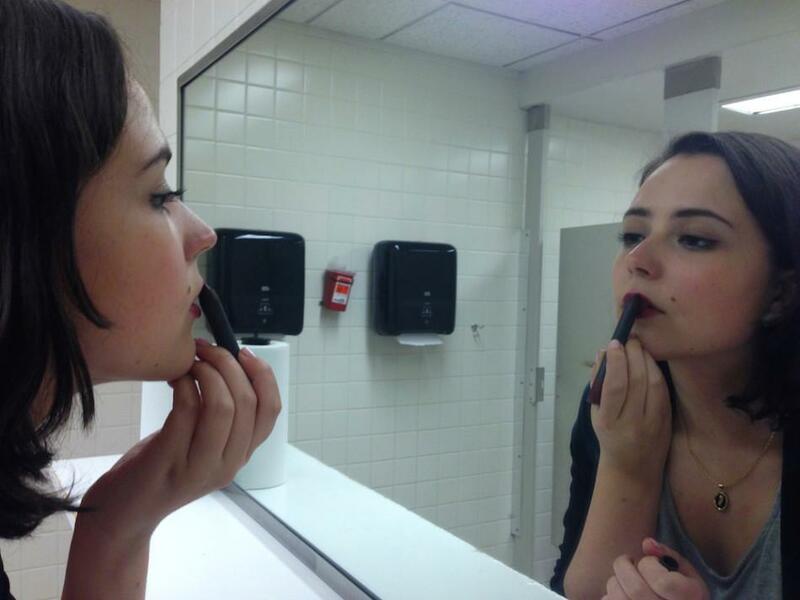 Ferreyra uses the liner to prevent her lipstick color from bleeding around the edges. When choosing lip liner, Ferreyra says you can mix and match between liner and lipstick, but keep in mind that the “liner will shine though the lipstick.” Hence, the darker the lip liner, the darker the color of your lipstick. Also, Ferreyra recommends using a white eye-pencil to fill in the center and top of your lips to make them look bigger. Finding a color that fits your complexion can make your look go from Halloween vampire scary to alluring. When picking a color, Ferreyra makes sure to test the color on her wrist and look for colors that complement her skin tone. Know someone with a great makeup look or have your own tips to share? Email me at elizabethsantoro2017@u.northwestern.edu.